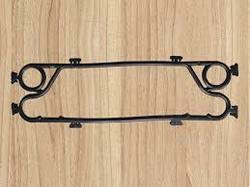 Our range of products include PHE Gaskets such as PHE Rubber Gaskets and PHE Gasket for Zinc. 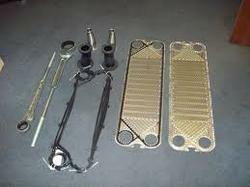 our products are offered in various specifications and known for their dimensional accuracy. Engaged in offering of PHE Gaskets. These gaskets are created using high grade material such as in Nitrile, EPDM, Viton and HNBR rubber that are highly compressible. 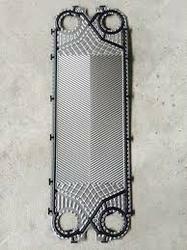 These phe rubber gaskets are used to seal Plate heat exchangers to prevent fluids escape and fill any irregularities. 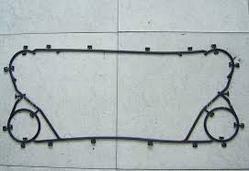 We manufacture PHE gaskets to fulfill the varied requirements of several industries as per client requirement. These PHE Rubber Gaskets are also used to prevent any leakage under compression. 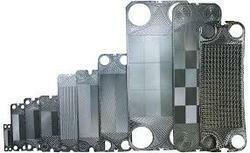 We are engaged in offering a qualitative range of Tranter Plate Heat Exchanger Gaskets. Our range of Tranter Plate Heat Exchanger Gaskets is widely appreciated by our clients which are situated all round the nation. Manufactured as per the client's requirement and specifications, these are recognized by their efficiency, technical & design accuracy. 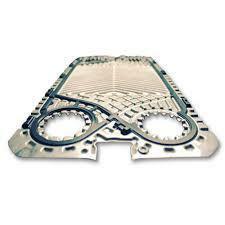 We are engaged in offering a qualitative range of Alfa Level Plate Heat Exchanger Gaskets. 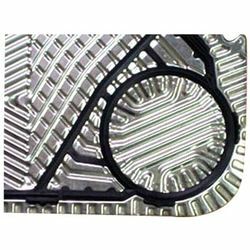 Our range of Alfa Level Plate Heat Exchanger Gaskets is widely appreciated by our clients which are situated all round the nation. Manufactured as per the client's requirement and specifications, these are recognized by their efficiency, technical & design accuracy. 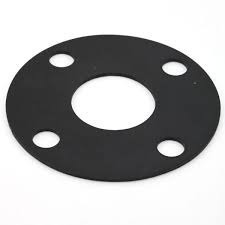 We are engaged in offering a qualitative range of EPDM Rubber Gasket (Ethylene Propylene Diene Monomer). Our range of EPDM Rubber Gaskets is widely appreciated by our clients which are situated all round the nation. Manufactured as per the client's requirement and specifications, these are recognized by their efficiency, technical & design accuracy. We are engaged in offering a qualitative range of GEA PHE Gaskets. Our range of GEA Plate Heat Exchanger Gaskets is widely appreciated by our clients which are situated all round the nation. Manufactured as per the client's requirement and specifications, these are recognized by their efficiency, technical & design accuracy. We are engaged in offering a qualitative range of Sondex PHE Gaskets. Our range of Sondex Plate Heat Exchanger Gaskets is widely appreciated by our clients which are situated all round the nation. Manufactured as per the client's requirement and specifications, these are recognized by their efficiency, technical & design accuracy. We are engaged in offering a qualitative range of HMT PHE Gaskets. Our range of HMT PHE Gaskets is widely appreciated by our clients which are situated all round the nation. Manufactured as per the client's requirement and specifications, these are recognized by their efficiency, technical & design accuracy. We are engaged in offering a qualitative range of Sigma PHE Gaskets. Our range of Sigma PHE Gaskets is widely appreciated by our clients which are situated all round the nation. Manufactured as per the client's requirement and specifications, these are recognized by their efficiency, technical & design accuracy. We are engaged in offering a qualitative range of Smeet Britain PHE Gaskets. Our range of Smeet Britain PHE Gaskets is widely appreciated by our clients which are situated all round the nation. Manufactured as per the client's requirement and specifications, these are recognized by their efficiency, technical & design accuracy.